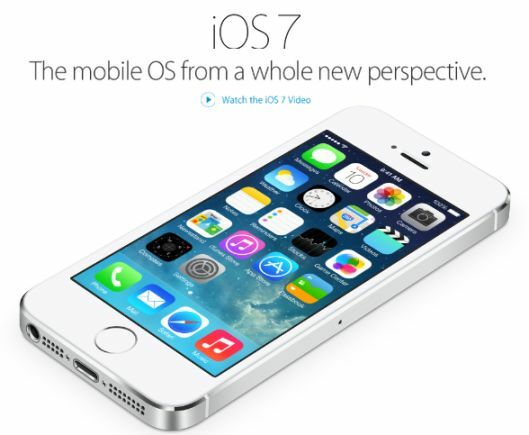 Apple has released the new version iOS 7 for all iOS devices such as iPhone, iPad and iPod Touch. Apple announced the iOS 7 at the WWDC event 2013 in June month. The all new iOS 7 comes with a new design with lot of new features including new User Interface, Notifications, Control center, Airdrop, Camera, Photos and more. iOS 7 comes with new user interface which has all the built in apps such as Phone, Calendar, Mail, Contacts are redesigned completely. • AirDrop – it lets you quickly share content with people nearby if they having iPhone and iPad without any setup. • Control Center – All controls in one place just by swiping from the bottom of the screen. You can customize brightness, play a song, flashlight, Bluetooth, wifi and more. • Photos – redesigned photo app organize your photos and videos based on time and location automatically. • Find My Phone – You can deactivate your phone when it lost and you can reactivate if you get back your iPhone. For this Apple ID and password required. • Multitasking – It allows using multiple apps on same time and you can press the home button to see preview screens. • Safari - redesigned user interface including full screen browsing, smart search and parental controls. • Improved Siri voice search performance. 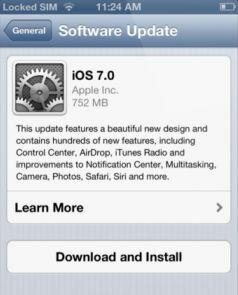 You can download the iOS update through iTunes or you can upgrade on your iOS device as OTA update. Before update your device, backup your iPhone and go to Settings-> General -> Software Update. Then click “Download and Install” button and the update size differs based on your size. iOS 7 update comes with free upgrade for the devices including iPhone 4 and above versions, iPod Touch 5th generation, iPad 2, iPad Mini. If you cannot update the iOS 7 via your phone (OTA), you can download the update directly and install via iTunes.